Below is a list of weekly activities that take place on a regular basis. In addition, a number of other activities will take place in any given week. 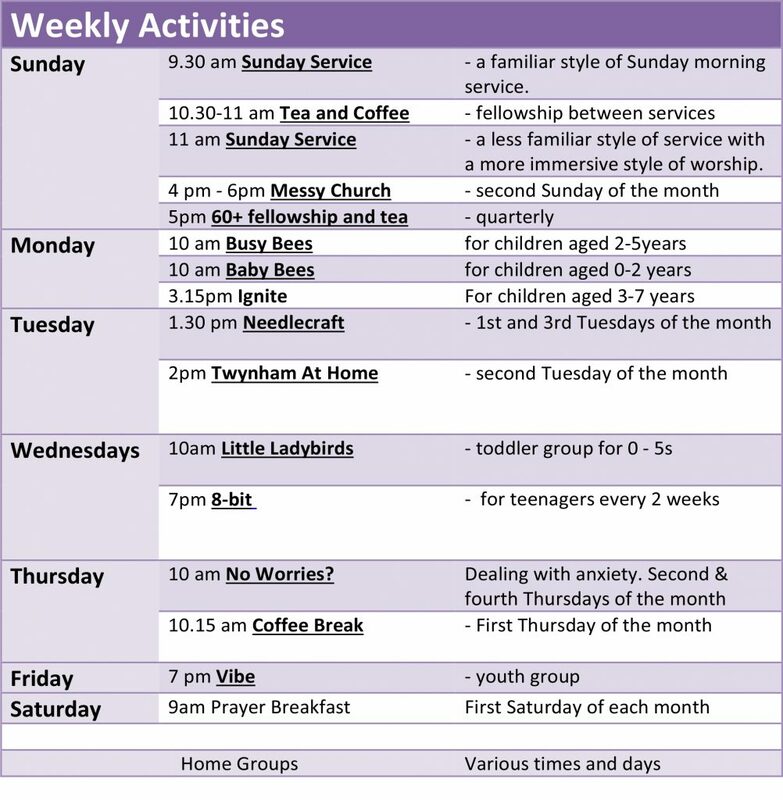 For up-to-date information on what is going on in the church each week pick up Twynham’s weekly newsletter The Signpost from the church foyer.